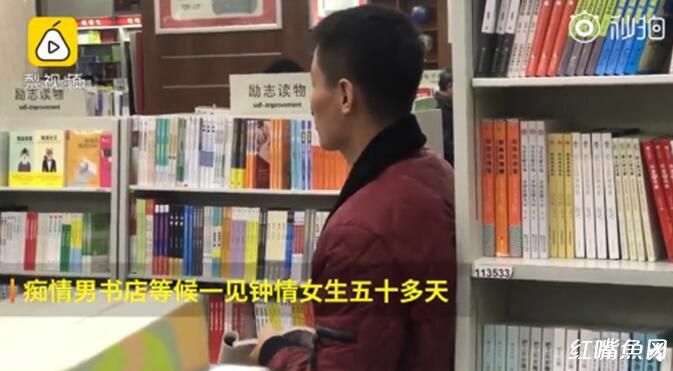 A Chinese man has been making national headlines after it was revealed that he has been waiting in a bookstore in Beijing for over 50 days hoping to meet a girl he has “fallen in love with” after making eye-contact for 10 seconds. To say that this 26-year-old man is a firm believer in love at first sight would be an understatement. He is so convinced that the woman he saw in a popular Beijing bookstore back in September is the girl of his dreams that he quit his job and has been staying in the bookshop every day from 11am to 7pm, hoping to meet her again so he can tell her how he feels. To improve his chances of bumping into the mystery woman again, the man, surnamed Sun, has been passing out hand-drawn sketches of her to other bookstore visitors, and recently tried to sue her for emotional distress, even though he doesn’t even know her name. Sun recently told reporters that the first time he saw this dream girl at the popular Wangfujing bookstore in Beijing, he was with another girl who had expressed interest in dating him, so he didn’t want to hurt her feelings by approaching another girl. However, he and this “perfect” girl did make eye contact for about 10 seconds and he felt that this “special connection”. Even though the girl eventually left the bookstore and he never got to talk to her, Sun claims he couldn’t stopped thinking about her, so he decided that he simply had to do everything he could to see her again. He started hanging out at the bookstore all day and eventually quit his job, because he couldn’t do both things. Ever since he became unemployed, the 26-year-old man has been borrowing money from friends and family to get by, but claims that he doesn’t regret his decision. “You earn money to support your family but if you don’t have a family then what’s the point of earning money now?” Sun said in a Pear video that recently went viral in China. The love-drunk man said that it doesn’t matter if his mystery woman isn’t interested in him, as all he wants is to find closure. If she agrees to explore the possibility of building a future together and it turns out that they are not compatible, he’ll at least be able to move on. After spending more than 50 days in the bookstore, from opening time until closing time, with nothing to show for it, Sun recently became desperate and went to the local courtroom hoping to sue his dream girl for causing him emotional distress. The court declined his request, since he couldn’t even name the person he wanted to sue, but Sun said that he will keep trying new ideas to meet this woman again. 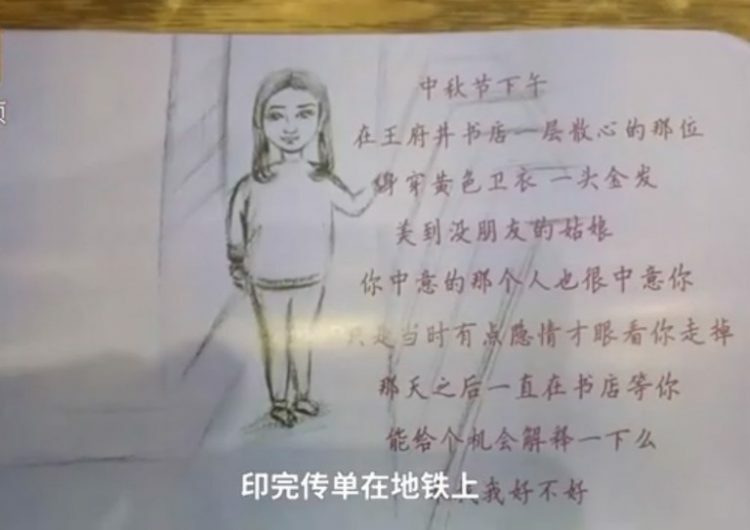 This story has been doing the rounds on social media in China, but instead of praising the man’s devotion, most people have been criticizing his stalking-like behavior, calling him “sick”, “creep”, or a “psycho”. Some even warned this unknown woman to stay as far away from him as possible. “Girl, have you seen this video? Remember this face! Whatever you do, stay away from him!” one person wrote on Weibo, China’s version of Twitter.